← Walmart Exclusive TVC Jabba's Palace On eBay! 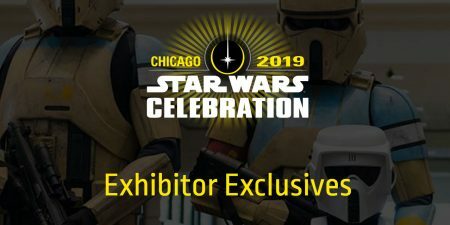 Going to Celebration Chicago next month? You will want to go sign up for the Exhibitor Exclusives lottery if you want to secure a spot in line to buy the Hasbro, LEGO, or Funko exclusives. Click here to sign up! Previous Article: Walmart Exclusive TVC Jabba's Palace On eBay! Next Article: Everything You Probably Don't Know But Need To Know About The Updated 2019 TVC Han Solo (Echo Base) (VC03) Figure!